Recently, Keith and I had the privilege of leading a pre-marital counseling session for a young couple headed to the altar this winter. As we left, the couple stood on their front porch of their soon-to-be home (which is currently a bachelor pad) waving goodbye. They looked so young, and the future sparkled in their eyes. I wondered instantly what each pair of eyes would have to see over the course of the next 10 years. Would the honeymoon last an especially long time? Would their home be a place of laughter even when times were difficult? Would they look past each other’s faults and shortcomings because love “never keeps a record of wrongs”? I certainly hope so, but no matter how much I wish happiness and blessings on them, the life they face will be in God’s hands, and their choices of how to deal with that life as a couple will be theirs. Of course, watching those two lovebirds took me back 16 years when Keith and I stood as young and fresh on our own doorstep. A speedy time-lapse version of our lives flashed through my head. Major and minor characters filled the mind’s camera and flittered away…conflicts roared and quelled…moments of bliss froze once again on the pages of my memory. 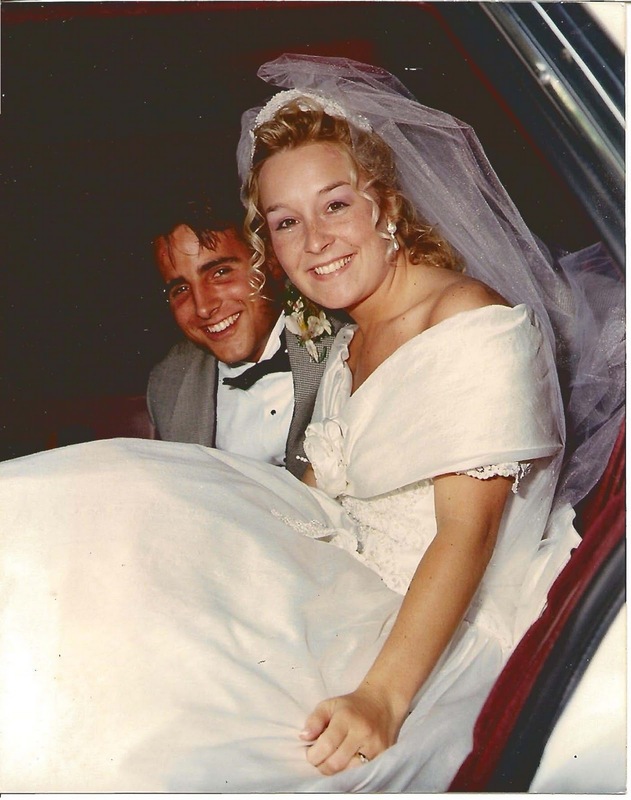 In sixteen years together, we’ve experienced two parents battle with cancer–one conquered and one lost; placed a father in a nursing home and lost him not long after; bid eternal farewells to 4 treasured grandparents; stood amazed at birth of 2 amazing children, 1 niece, and 4 nephews; dove into and out of 12 different jobs; moved from one state to another; and now face the giant leap of becoming foreign missionaries. That’s a lot in 16 years–a lot more than we ever bargained for when we said “I Do” on that beautiful day in May. But once the camera stopped rolling, I wondered to myself if given the chance, would I do it all over again. Knowing what I know about life, family, God, and love would I take a do-over? Even if I couldn’t change events but only how I reacted to them? Honestly, I don’t know that I would. Some of those days the past 16 years were very dark and terribly difficult to live through. On the other hand, so many days are amazingly worth reliving. Would I relive the bad to experience the amazing again? I’m not so sure I would. I don’t think I would have reacted differently to most of the situations I faced. In fact, there is only two things I would do differently: trust God and the people in my life more. On the other hand, the one thing I would never change is my journey’s partner, Keith. I’ve left this open-ended, so that I could hear your responses. Would you relive the past 10-15 years of your life if given the chance? Do you think you would relive it differently? Would you revisit the difficult for a few moments of “Wow!” Would you still walk the same path with the wisdom you now have or would you simply leave it as is was? This entry was posted in Uncategorized on October 29, 2010 by aliciachall28. There are certainly some circumstances that I would choose to eliminate from the past 15 years. However, I am convinced that those very experiences – every one of them, combined – are what has made me the woman I am today. I am proud of that woman…she is smarter, stronger, and more humble than that 24 year old girl.And I, like you, would choose to travel that path with the same wonderful man!! 15 years ago I was a 15 year old girl in highschool – pregnant. Some might say that would do it over again and maybe wait a little longer to have their first child but I don't know:) The only thing I know I would do over again is be more of mom to my sweet child… probably should have stayed home some Friday nights and watched cartoons rather than hang with friends. I might have gone to school a little sooner but I know that God takes me down these roads for a reason and I sure have learned a lot about myself and others. Thankfully I can't turn back time and really junk things up 🙂 This is the journey I'm on and I'm grateful for all those life lessons.